No vacation is complete without indulging in some well-earned treats and desert. 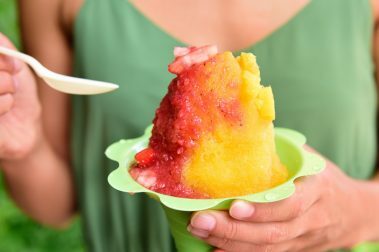 Most people consider Hawaiian shave ice the quintessential Hawaiian treat, and while it is still a favorite, many small creameries and bakeries have also made a visit to the Big Island creating a sweet tooth’s delight. Tropical Dreams ice-cream is a delicious locally made treat and is a favorite on the Big Island, being served at many local shops across the island. 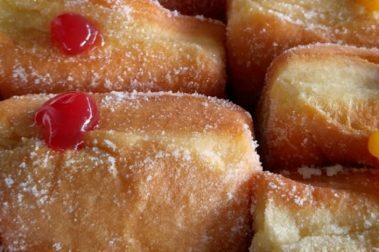 To fuel your fun-filled beach day, you may need a little pick me up, so before you head out, be sure to stock up on locally-made malasadas – you’ll be happy you did. 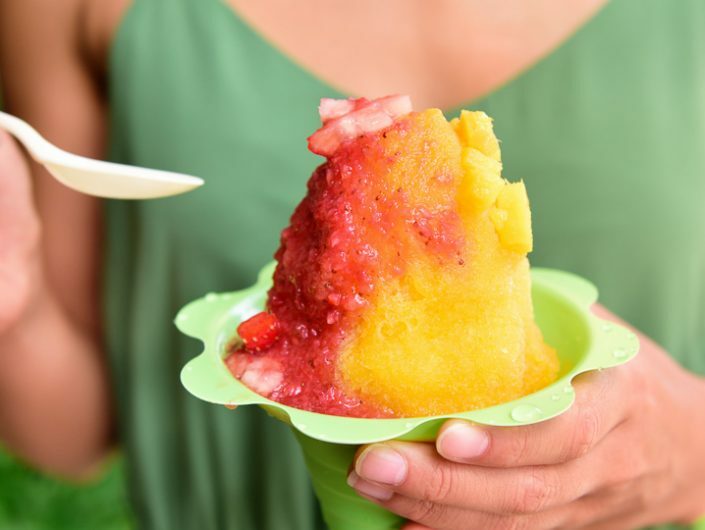 A frozen delight made famous in Hawaii, a visit to the Big Island is incomplete without a tropical treat from Scandinavian Shave Ice. 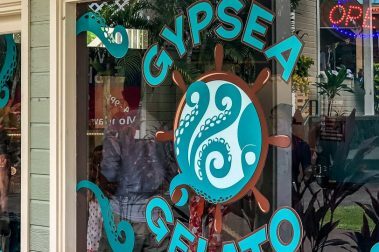 A Big Island favorite, Gypsea Gelato offers the tastiest desserts and treats anywhere on the island. 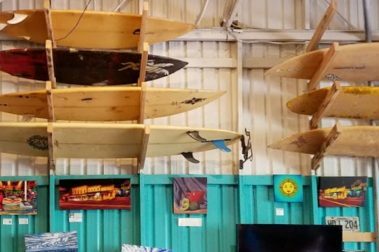 Tin Shack Bakery is a fun and funky cafe with beach shack decor and high quality coffee and baked goods that make it a must-visit. 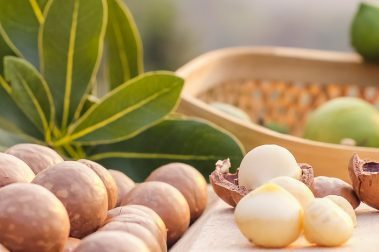 Among the Big Island’s most prized assets is the booming macadamia nut industry, so be sure to try some of the delicious dishes featuring these local treats. 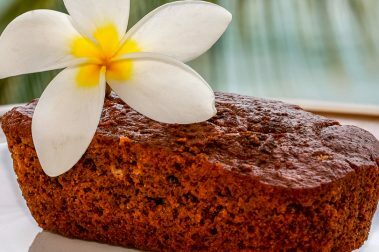 With the popularity of this baked delicacy, a trip to a local Big Island bakery is a must-do for foodies of every stripe. These deep-fried balls of delight are a perfect answer to a nagging sweet tooth. 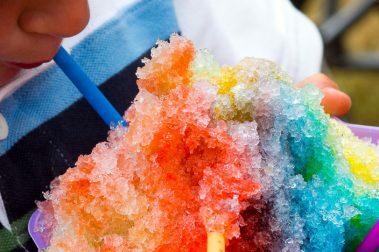 When the heat gets the best of you reach for a shave ice and experience one of Hawaii’s most iconic treats. 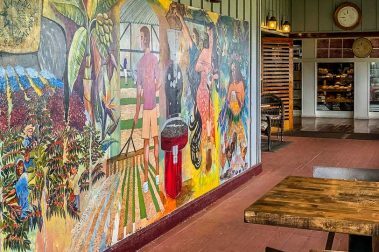 A perfect stop after a long adventure, What’s Shakin’ is a tasty option for a refreshment along the Hilo side of the Big Island. 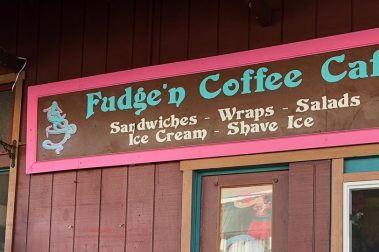 A grab-and-go style coffee cafe with incredible baked goods, the Fudge’n Coffee Cafe is a reliable stop for a quick recharge on the Big Island. 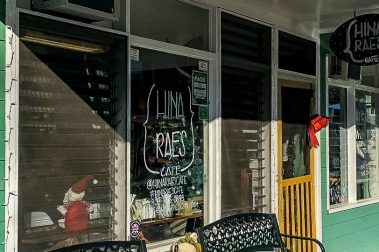 For a quick, fresh meal on the go, Hina Rae’s Cafe is a refreshing stop along the Big Island’s Hamakua Coast. 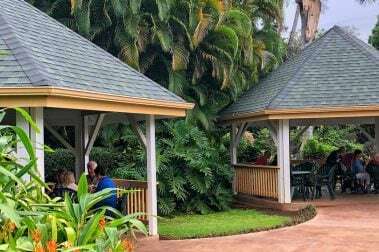 A quaint and upscale bakery and cafe in Hilo, Moonstruck Patisserie is the perfect destination for a quick, delicious breakfast. The Big Island has no shortage of delicious baked goods, but Holy Donuts in Kailua-Kona may be the very best of them all. 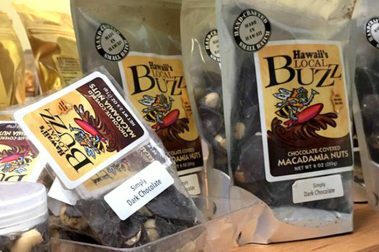 A combination coffee farm, bakery, and Macadamia nut producer, Hawaii’s Local Buzz is a one-stop shop for all things delicious on the Big Island. 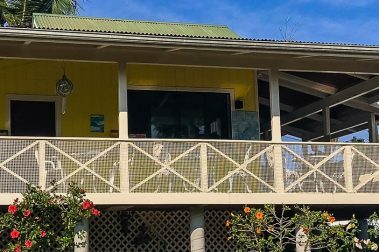 A Kailua-Kona favorite and one of the very best shave ice companies in Hawaii, One Aloha Shave Ice offers a tasty, refreshing treat no matter the occasion. 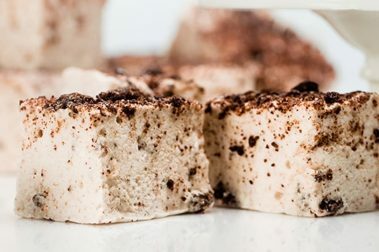 Looking for something tasty and sweet? Short N Sweet Bakery and Cafe is the perfect spot for a quick, satisfying treat with delicious coffee. Home to some of the best sweet bread, treats and malasadas, no visit to the Big Island is complete without stopping by this Hawaiian bakery. 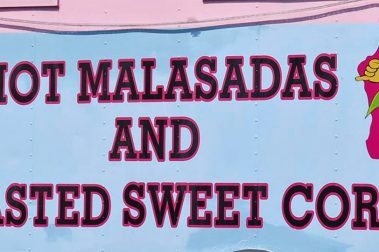 Waimea is known for its incredible food scene, but no Big Island vacation is complete without a stop at one of Manuela Malasada Company food trucks. 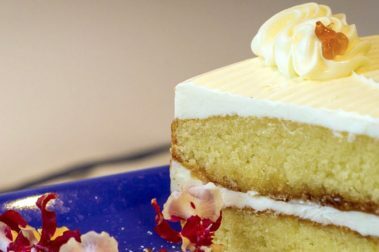 Delicious treats and tasty baked goods abound at Hawaiian Vanilla Company or call ahead to take a tour that includes a vanilla themed lunch. 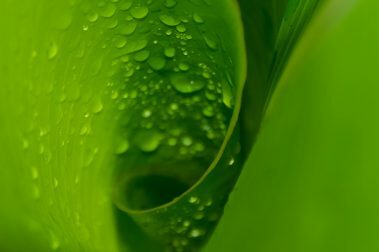 One of the finest cafes on the Big Island, Daylight Mind Bakery & Cafe is delicious and singular in its quality and consistency. 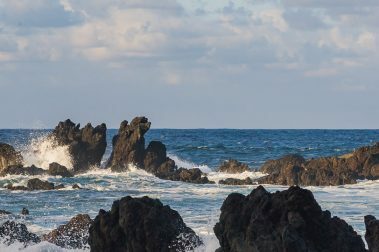 Delicious and decadent, Donna’s Cookies is a tasty break along the Hamakua Coast and is perfect for sending gifts back home. 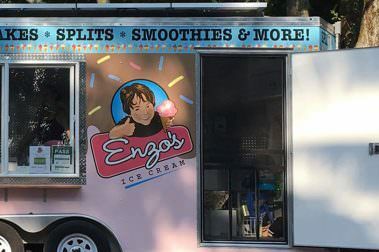 Nestled in a remote part of the Big Island, this food truck can help with that sweet tooth and with the heat with delicious ice-cream treats. 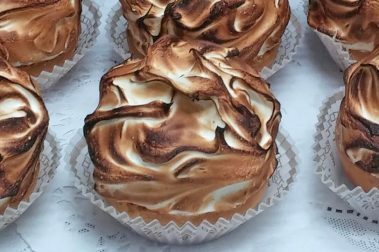 A bakery inside a gelato shop, along the southern end of Kona, Kona Sweets makes for an incredible stop before your next adventure. A tasty and refreshing treat for those seeking a caffeine boost or ice cream, Kopelani Inc is well worth a visit no matter the time of day. 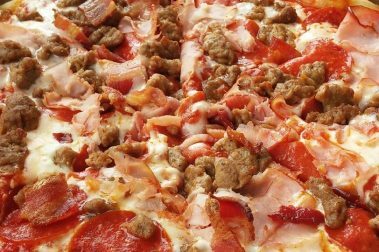 DJ’s Pizza and Bake Shop is one of the best places to get pizza on the Big Island, but their bakery is also an incredible draw.